"Be careful," Ye Futian reminded softly . The cultivators from Sword Saint Villa looked really strong . All the people who were still there were certainly very powerful . Ye Wuchen nodded gently, after which he stepped forward and walked to the center of the arena . Many people stared at his single arm, as well as the sword he was carrying on his back . Was he a one-armed swordsman? Nobody knew what outstanding characteristics he had that had allowed him to stay until this moment . "Yan Nan, grade eight noble from Sword Saint Villa . " "Ye Wuchen, grade nine noble . " "Handicapped first . " Yan Nan gestured at Ye Wuchen, signaling him to attack first, but the word "handicapped" was particularly grating . The people around Yan Nan all stared at him in surprise . With his status, he should not be humiliating another cultivator in such a way, unless there was some resentment between the two of them . The people from Dawn Road knew the exact reason . Clearly, Yan Nan who was from Sword Saint Villa was extremely unhappy that Ye Wuchen and Ye Futian had obtained the relic from Flying Sword City . It should be a place for him to cultivate instead . In his opinion, Ye Wuchen was an unknown one-armed person . What did Ye Wuchen have that had allowed him to inherit the relic that was supposed to belong to Sword Saint Villa? The faces of Ye Futian and Yu Sheng darkened at once and a cold beam of light flashed across their eyes . A faint, freezing aura was even emitted from Ye Futian's body . On the other hand, Yu Sheng clenched his fists tightly, producing a crackling sound . They did not forget how Ye Wuchen's other arm was cut off . Ye Wuchen's pupils contracted and he glanced at Yan Nan, but he did not seem to have an intense reaction . In fact, he was even calmer than Ye Futian and Yu Sheng . He had already accepted the fact that he was one-armed a long time ago . Cultivators were supposed to cultivate their mentality, and his arm was already not too important to him . Ye Wuchen still vividly remembered his master's words; it was more important for him as a swordsman to have a clear focus . Sword Will started to flow around Ye Wuchen and his entire body seemed to have turned into a sword itself . A dazzling radiance erupted and thousands of swords circled around him, awaiting their orders . Together, they produced a loud clanking . Ye Wuchen pointed his finger forward . Right away, the thousands of swords charged towards Yan Nan like rain . Yan Nan stared at Ye Wuchen's action coldly . Was Ye Wuchen trying to show off his sword skills before him? Behind Yan Nan, a beam of light bloomed and a huge sword seemed to have appeared . Immediately, a vast amount of Sword Will swept over and converged together . The huge sword solidified gradually and a terrifying storm made from Sword Qi emerged around it . The huge sword vibrated, after which it struck forward as if it had been drawn out of its sheath . Nine Swords of the Celestials, Edgeless Great Sword . Instantly, the huge sword struck out, even the incoming Sword Qi from Ye Wuchen seemed to have stopped flowing . Then, the Sword Will all bypassed the huge sword . Both of them were swordsmen . However, Yan Nan was a grade eight noble, while Ye Wuchen was only grade nine . With a higher level, Yan Nan's Sword Will was purer and more powerful, and certainly much stronger than an ordinary swordsman . However, the Sword Qi coming from Ye Wuchen did not stop . Instead, the Sword Qi which filled the sky only charged over wildly . He had obtained the inheritance of a sage from the Holy Zhi Palace in Flying Sword City, so he was clearly stronger . Suddenly, the Sword Will in the sky turned into many swords in an orderly manner . Then, they unified and actually charged towards the same place, colliding with the light screen around the incoming huge sword . An ear-piercing noise erupted and everyone stared attentively at the battlefield . Sword Qi blotted out the sky, producing a spectacular sight . Gradually, many cracks appeared on the light screen around the huge sword, after which it cracked open . An endless amount of Sword Will pierced towards the huge sword . In the end, even the edgeless great sword had countless cracks on it and it eventually broke into pieces, dissipating into nothingness . Yan Nan glanced coldly at Ye Wuchen . He is not too weak, he thought . Then, Yan Nan flashed forward and passed through the endless Sword Will like a sharp sword himself . He appeared in the sky, and another sword appeared behind him . The sword penetrated across the air like a bolt of lightning, crushing the Sword Qi in its path . With a speed that was too fast to be seen by the naked eye, the sword charged towards Ye Wuchen's forehead directly . Many people held their breaths . The sword was so fast that they could hardly see anything . It was more like a beam of light . It was the Sword of Light in the Nine Swords of the Celestials . At the moment, a brilliant wave of Sword Will emerged from in between Ye Wuchen's eyebrows, after which the powerful Sword Will turned into a sharp sword, shooting forward . The two lightning-like beams of light crashed into each other . Ye Wuchen backed off, but suddenly, he felt an intense sense of danger . Ye Wuchen's body suddenly moved to the right, leaving an afterimage behind . Following a soft thud, Ye Wuchen's left sleeve was cut into two directly . A blade of light flashed across and was hardly visible to the eyes . So close! Everyone stared at the arena . "The Nine Swords of the Celestials from Sword Saint Villa . This is the Swords of Light and Darkness . The Swords of Light are exposed, while the Swords of Darkness are hidden . I didn't expect Yan Nan to be skilled in this technique . It is quite rare," looking at the scene, an important figure from the Holy Zhi Palace praised . "You should be grateful that you're handicapped," Yan Nan said . Ye Wuchen looked at the sleeve that had been cut into two, and it was empty inside . "Wuchen!" Ye Futian was somewhat anxious . He knew Ye Wuchen very well . Due to his personality, Ye Wuchen would not admit defeat easily when it came to swordsmanship . He would rather be severely injured than admit defeat . Moreover, Yan Nan was a dangerous person . At the moment, Ye Wuchen looked at Yan Nan, who extended his finger . Realizing that there was some Sword Will flowing around the tip of Yan Nan's finger, Ye Wuchen closed his eyes . The Swords of Light could be seen, but the Swords of Darkness were hard to block . With his understanding of swordsmanship, Ye Wuchen should not have missed that out, but he did not manage to detect the Sword of Darkness at all . This meant that the Sword of Darkness was really powerful . Since his eyes were useless here, Ye Wuchen had decided to close them . "It seems like you don't even want your eyes," Yan Nan sneered . However, suddenly, he saw Ye Wuchen who was showered in endless Sword Qi move, charging towards him like a sharp sword . Yan Nan pointed his finger at the sky . At once, an infinite amount of Sword Qi converged into a huge sword which fell down from the sky . It struck towards Ye Wuchen, attempting to crush everything in its path . The Sword Qi around Ye Wuchen danced wildly and swept towards the sky . However, Yan Nan also stepped forward, walking towards Ye Wuchen . A battle between two swordsmen was always the most dangerous . In just one strike, one of them could be killed . In addition, melee combat between two swordsmen would be several times more dangerous . However, Ye Wuchen was fearless, so Yan Nan would not be scared as well . The Sword Qi above Ye Wuchen collided wildly with the huge sword . On the other hand, many swords appeared in front of Yan Nan . As he pointed his finger forward, the Swords of Light were activated . Every single sword turned into a beam of light, charging towards Ye Wuchen . Ye Wuchen similarly pointed his finger forward . Right away, several sword veils appeared before him and converged into one . Then, it turned into nine beams of Sword Qi, striking towards the Swords of Light . They collided in midair . However, Ye Wuchen felt an intense sense of danger again, just like a while ago . At the moment, Ye Wuchen was clearly focused and time seemed to have slowed down for him . He could feel intense fluctuations coming from the Swords of Darkness in several places before him . This time, it was not just one sword . Instead, there were three beams of Sword Qi coming from three different directions, blocking all possible paths to dodge . Suddenly, a brilliant radiance erupted from Ye Wuchen . A bright blade of light appeared above his sword body as he dashed forward . At the moment, his body had combined with his sword, his sword had combined with his will, and his will had combined with his heart . Buzz . . . The three terrifying Swords of Darkness brushed past Ye Wuchen's body, after which they actually collided with each other, sending out a horrifying force . On the other hand, Ye Wuchen had managed to close the distance between him and Yan Nan . "He dodged it . " The powerful cultivators all looked at Ye Wuchen in surprise . With their levels, they could clearly see what had happened in the arena . Yan Nan frowned, but he did not seem to be too bothered . There was still a frightening power on his fingertip . However, out of a sudden, Ye Wuchen who was before him opened his eyes, his eyes as bright as the blade of a sword . In the next instant, Yan Nan saw an appalling sharp sword strike towards his throat . He sneered, after which his palm turned into a sword and swept out . A sharp noise was produced, but his attack somehow missed . Then, an intense feeling of danger befell Yan Nan and his heart pounded fiercely . This was an Illusory Sword Technique . Stepping in the air, Yan Nan retreated backward, and a strong wave of Sword Will appeared before him, protecting him . Then, he felt a sharp sword pierce towards him . If he was slightly slower, his throat would have been slit open . The sword that he had seen was actually illusory . The real fatal blow came slower than what he had seen . Suddenly, Yan Nan saw another two blades of light charging towards him . Just as he was thinking for a strategy, he felt another sense of danger . He sped up and his body seemed to have turned into a sword . However, instead of moving forward, he was trying to back away . Yan Nan formed a sword seal with his hands and a powerful sword veil appeared before him . Ye Wuchen's attack finally arrived, and the second strike was faster than what Yan Nan had seen . It was an Illusory Sword Technique . Whatever Yan Nan was seeing was all illusory . Indeed, Heavenly Eyes Sword Technique could be considered as an Illusory Sword Technique . Moreover, Ye Wuchen had merged his Heavenly Eyes Sword Technique with his understanding of swordsmanship, fusing it with the aggressive technique that he had obtained from the relic . At the moment, thousands of waves of Sword Qi charged out . This was the Sword of Chaos . Yan Nan's face turned pale; he did not know which swords were real and which were illusory . Yan Nan put his hands together and thousands of swords gathered around him . He no longer attempted to attack and could only defend, guarding his body with Sword Qi . Immediately, his body was enveloped in a sword veil . Suddenly, Ye Wuchen appeared before him . The one-armed swordsman strolled in the air and an endless amount of Sword Qi in the sky converged towards him, growing in strength as time passed . Everyone could only see countless swords floating around Ye Wuchen, producing a clanking sound . In the sky, more and more swords gathered around him . "Strike!" Ye Wuchen pointed his finger forward . At once, an infinite amount of Sword Qi shot towards a certain place . Everyone saw a sword rain charging towards the same spot . Almost immediately, cracks appeared on Yan Nan's defense . "Yan Nan, admit defeat!" Yan Jiu who was at the edge of the arena shouted . Swordsmen were known for their aggressiveness . They could crush all defenses, but their own defense was comparatively much weaker . Previously, Yan Nan had gained an advantage in his attacks and was able to suppress Ye Wuchen . However, the situation of the battle flipped around out of a suddenly . Ye Wuchen was attacking Yan Nan with countless swords at the moment and Yan Nan was absolutely on the losing end . If this continued, Yan Nan would not only lose but he would also be killed . Yan Nan's face turned very gloomy as he stared at Ye Wuchen in the sky . The sword veil around him was already on the verge of being crushed . Just then, Ye Wuchen raised his hand and the thousands of swords around him clanked . "I admit defeat!" Yan Nan roared, not resigned to his fate . Ye Wuchen's finger stopped in the air, after which the Sword Qi dissipated . Countless people gazed at Ye Wuchen . This one-armed swordsman who had been keeping a low profile was humiliated by Yan Nan, being addressed as a handicapped . However, he actually defeated Yan Nan, a Sword Saint Villa disciple . He is actually also so strong, Li Qingyi, Qin Yin, and the other people from Dawn Road thought . It seemed like nobody with Ye Futian was weak, although their levels were somewhat low . Yan Nan's face darkened as he stood blankly at his spot . He had actually lost . "I actually lost to a handicapped . " Yan Nan gave a self-mocking smile . The word "handicapped" was still particularly grating . Raising his head, he looked at Ye Wuchen . "Is that what you learned from the relic?" Ye Wuchen glanced coldly at Yan Nan . Ignoring him, Ye Wuchen turned around and left . Since he could not kill Yan Nan, it was pointless to say anything else . "Wait," an elder from the Holy Zhi Palace suddenly said . "Ye Wuchen, do you want to join my island?" Ye Wuchen was the one being challenged, but his power was approved by the Holy Zhi Palace in this battle . Someone wanted to accept him as a disciple . "Thank you, but I would like to stay in the arena . " Ye Wuchen bowed gently, after which he continued his way back . He had rejected the offer . Moreover, because he was the one who was challenged and had obtained the approval of the Holy Zhi Palace, he would not need to fight anytime soon . The elder did not say anything . He looked at Yan Nan and asked, "How about you?" Although Yan Nan had lost, his power was similarly approved . Yan Nan glanced emotionlessly at the back of Ye Wuchen . How could he accept something that Ye Wuchen had rejected? "No . " Yan Nan turned around and left . Because he had obtained someone's approval, he could still stay in the arena despite having lost . He was promoted to the next round . Both of them had actually rejected the offer . Clearly, they had greater ambitions . To Yan Nan, if he was to join the Thousand Holy Islands, he might as well stay in Sword Saint Villa . In the crowd, Chen Yuan said to Mu Chuan, "Did you see that? Even the person beside him can enter the Holy Zhi Palace . Moreover, he rejected the offer from the Thousand Holy Islands . I really don't know why you're always so proud before me . " Zhaixing House had been acting superior just because Mu Zhifan was a disciple of the Holy Zhi Palace . Now, Chen Yuan was almost elated . Behind him, Mu Zhifan's face darkened . Indeed, even Ye Wuchen could enter the Holy Zhi Palace . The reason that he had been so complacent seemed insignificant at the moment . The arena was somewhat silent . The battle between the two evenly matched swordsmen just now was very remarkable . Ye Wuchen returned to the side of the arena . Ye Futian looked at his sleeve which had been cut off and asked softly, "Are you injured?" Ye Wuchen shook his head gently and did not say anything else . His handsome face looked very calm, but Ye Futian did not know what he was thinking . Nevertheless, anyone who was humiliated as a handicapped would certainly be furious . Moreover, Ye Wuchen's broken arm was indeed his major flaw . "Next," the person on the sky stairwell said . "Me," someone replied . However, before the person could walk out, someone else in the crowd was already walking towards the center of the arena . Many people seemed to be very surprised . The person who walked out first was actually Ye Futian . Ye Futian strolled to the center of the arena and stopped . Ignoring the amused stares of everyone, he looked in a certain direction . It was where Ye Nan had just returned to . "Get the f*** over here," Ye Futian said, pointing at Yan Nan . After Yan Nan lost, he still called Ye Wuchen a handicapped . Ye Wuchen did not seem to mind, but Ye Futian did! Be careful, Ye Futian reminded softly . The cultivators from Sword Saint Villa looked really strong . All the people who were still there were certainly very powerful . Ye Wuchen nodded gently, after which he stepped forward and walked to the center of the arena . Many people stared at his single arm, as well as the sword he was carrying on his back . Was he a one-armed swordsman? Nobody knew what outstanding characteristics he had that had allowed him to stay until this moment . Yan Nan, grade eight noble from Sword Saint Villa . Ye Wuchen, grade nine noble . Handicapped first . Yan Nan gestured at Ye Wuchen, signaling him to attack first, but the word handicapped was particularly grating . The people around Yan Nan all stared at him in surprise . With his status, he should not be humiliating another cultivator in such a way, unless there was some resentment between the two of them . The people from Dawn Road knew the exact reason . Clearly, Yan Nan who was from Sword Saint Villa was extremely unhappy that Ye Wuchen and Ye Futian had obtained the relic from Flying Sword City . It should be a place for him to cultivate instead . In his opinion, Ye Wuchen was an unknown one-armed person . What did Ye Wuchen have that had allowed him to inherit the relic that was supposed to belong to Sword Saint Villa? In reality, Yan Nan was indeed thinking this . A handicapped cultivator had inherited the relic that originally belonged to him and his clan mates . How humiliating… The faces of Ye Futian and Yu Sheng darkened at once and a cold beam of light flashed across their eyes . A faint, freezing aura was even emitted from Ye Futians body . On the other hand, Yu Sheng clenched his fists tightly, producing a crackling sound . Handicapped? They did not forget how Ye Wuchens other arm was cut off . Ye Wuchens pupils contracted and he glanced at Yan Nan, but he did not seem to have an intense reaction . In fact, he was even calmer than Ye Futian and Yu Sheng . He had already accepted the fact that he was one-armed a long time ago . Cultivators were supposed to cultivate their mentality, and his arm was already not too important to him . Ye Wuchen still vividly remembered his masters words; it was more important for him as a swordsman to have a clear focus . Sword Will started to flow around Ye Wuchen and his entire body seemed to have turned into a sword itself . A dazzling radiance erupted and thousands of swords circled around him, awaiting their orders . Together, they produced a loud clanking . Ye Wuchen pointed his finger forward . Right away, the thousands of swords charged towards Yan Nan like rain . Yan Nan stared at Ye Wuchens action coldly . Was Ye Wuchen trying to show off his sword skills before him? Behind Yan Nan, a beam of light bloomed and a huge sword seemed to have appeared . Immediately, a vast amount of Sword Will swept over and converged together . The huge sword solidified gradually and a terrifying storm made from Sword Qi emerged around it . The huge sword vibrated, after which it struck forward as if it had been drawn out of its sheath . Nine Swords of the Celestials, Edgeless Great Sword . Instantly, the huge sword struck out, even the incoming Sword Qi from Ye Wuchen seemed to have stopped flowing . Then, the Sword Will all bypassed the huge sword . Both of them were swordsmen . However, Yan Nan was a grade eight noble, while Ye Wuchen was only grade nine . With a higher level, Yan Nans Sword Will was purer and more powerful, and certainly much stronger than an ordinary swordsman . However, the Sword Qi coming from Ye Wuchen did not stop . Instead, the Sword Qi which filled the sky only charged over wildly . He had obtained the inheritance of a sage from the Holy Zhi Palace in Flying Sword City, so he was clearly stronger . Suddenly, the Sword Will in the sky turned into many swords in an orderly manner . Then, they unified and actually charged towards the same place, colliding with the light screen around the incoming huge sword . An ear-piercing noise erupted and everyone stared attentively at the battlefield . Sword Qi blotted out the sky, producing a spectacular sight . Gradually, many cracks appeared on the light screen around the huge sword, after which it cracked open . An endless amount of Sword Will pierced towards the huge sword . In the end, even the edgeless great sword had countless cracks on it and it eventually broke into pieces, dissipating into nothingness . Yan Nan glanced coldly at Ye Wuchen . He is not too weak, he thought . Then, Yan Nan flashed forward and passed through the endless Sword Will like a sharp sword himself . He appeared in the sky, and another sword appeared behind him . The sword penetrated across the air like a bolt of lightning, crushing the Sword Qi in its path . With a speed that was too fast to be seen by the naked eye, the sword charged towards Ye Wuchens forehead directly . Many people held their breaths . The sword was so fast that they could hardly see anything . It was more like a beam of light . It was the Sword of Light in the Nine Swords of the Celestials . 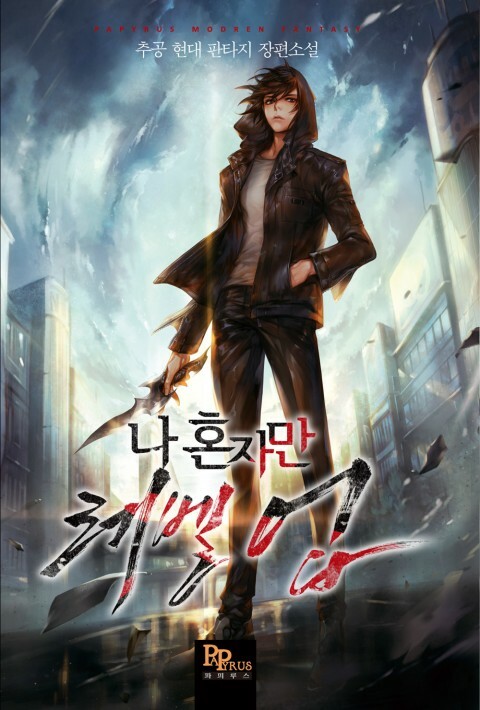 At the moment, a brilliant wave of Sword Will emerged from in between Ye Wuchens eyebrows, after which the powerful Sword Will turned into a sharp sword, shooting forward . The two lightning-like beams of light crashed into each other . Ye Wuchen backed off, but suddenly, he felt an intense sense of danger . Ye Wuchens body suddenly moved to the right, leaving an afterimage behind . Following a soft thud, Ye Wuchens left sleeve was cut into two directly . A blade of light flashed across and was hardly visible to the eyes . So close! Everyone stared at the arena . The Nine Swords of the Celestials from Sword Saint Villa . This is the Swords of Light and Darkness . The Swords of Light are exposed, while the Swords of Darkness are hidden . I didnt expect Yan Nan to be skilled in this technique . It is quite rare, looking at the scene, an important figure from the Holy Zhi Palace praised . You should be grateful that youre handicapped, Yan Nan said . Ye Wuchen looked at the sleeve that had been cut into two, and it was empty inside . Wuchen! Ye Futian was somewhat anxious . He knew Ye Wuchen very well . Due to his personality, Ye Wuchen would not admit defeat easily when it came to swordsmanship . He would rather be severely injured than admit defeat . Moreover, Yan Nan was a dangerous person . At the moment, Ye Wuchen looked at Yan Nan, who extended his finger . Realizing that there was some Sword Will flowing around the tip of Yan Nans finger, Ye Wuchen closed his eyes . The Swords of Light could be seen, but the Swords of Darkness were hard to block . With his understanding of swordsmanship, Ye Wuchen should not have missed that out, but he did not manage to detect the Sword of Darkness at all . This meant that the Sword of Darkness was really powerful . Since his eyes were useless here, Ye Wuchen had decided to close them . It seems like you dont even want your eyes, Yan Nan sneered . However, suddenly, he saw Ye Wuchen who was showered in endless Sword Qi move, charging towards him like a sharp sword . Yan Nan pointed his finger at the sky . At once, an infinite amount of Sword Qi converged into a huge sword which fell down from the sky . It struck towards Ye Wuchen, attempting to crush everything in its path . The Sword Qi around Ye Wuchen danced wildly and swept towards the sky . However, Yan Nan also stepped forward, walking towards Ye Wuchen . A battle between two swordsmen was always the most dangerous . In just one strike, one of them could be killed . In addition, melee combat between two swordsmen would be several times more dangerous . However, Ye Wuchen was fearless, so Yan Nan would not be scared as well . The Sword Qi above Ye Wuchen collided wildly with the huge sword . On the other hand, many swords appeared in front of Yan Nan . As he pointed his finger forward, the Swords of Light were activated . Every single sword turned into a beam of light, charging towards Ye Wuchen . Ye Wuchen similarly pointed his finger forward . Right away, several sword veils appeared before him and converged into one . Then, it turned into nine beams of Sword Qi, striking towards the Swords of Light . They collided in midair . However, Ye Wuchen felt an intense sense of danger again, just like a while ago . At the moment, Ye Wuchen was clearly focused and time seemed to have slowed down for him . He could feel intense fluctuations coming from the Swords of Darkness in several places before him . This time, it was not just one sword . Instead, there were three beams of Sword Qi coming from three different directions, blocking all possible paths to dodge . Suddenly, a brilliant radiance erupted from Ye Wuchen . A bright blade of light appeared above his sword body as he dashed forward . At the moment, his body had combined with his sword, his sword had combined with his will, and his will had combined with his heart . Buzz . The three terrifying Swords of Darkness brushed past Ye Wuchens body, after which they actually collided with each other, sending out a horrifying force . On the other hand, Ye Wuchen had managed to close the distance between him and Yan Nan . He dodged it . The powerful cultivators all looked at Ye Wuchen in surprise . With their levels, they could clearly see what had happened in the arena . Yan Nan frowned, but he did not seem to be too bothered . There was still a frightening power on his fingertip . However, out of a sudden, Ye Wuchen who was before him opened his eyes, his eyes as bright as the blade of a sword . In the next instant, Yan Nan saw an appalling sharp sword strike towards his throat . He sneered, after which his palm turned into a sword and swept out . A sharp noise was produced, but his attack somehow missed . Then, an intense feeling of danger befell Yan Nan and his heart pounded fiercely . This was an Illusory Sword Technique . Stepping in the air, Yan Nan retreated backward, and a strong wave of Sword Will appeared before him, protecting him . Then, he felt a sharp sword pierce towards him . If he was slightly slower, his throat would have been slit open . The sword that he had seen was actually illusory . The real fatal blow came slower than what he had seen . Suddenly, Yan Nan saw another two blades of light charging towards him . Just as he was thinking for a strategy, he felt another sense of danger . He sped up and his body seemed to have turned into a sword . However, instead of moving forward, he was trying to back away . Yan Nan formed a sword seal with his hands and a powerful sword veil appeared before him . Ye Wuchens attack finally arrived, and the second strike was faster than what Yan Nan had seen . It was an Illusory Sword Technique . Whatever Yan Nan was seeing was all illusory . Indeed, Heavenly Eyes Sword Technique could be considered as an Illusory Sword Technique . Moreover, Ye Wuchen had merged his Heavenly Eyes Sword Technique with his understanding of swordsmanship, fusing it with the aggressive technique that he had obtained from the relic . At the moment, thousands of waves of Sword Qi charged out . This was the Sword of Chaos . Yan Nans face turned pale; he did not know which swords were real and which were illusory . Yan Nan put his hands together and thousands of swords gathered around him . He no longer attempted to attack and could only defend, guarding his body with Sword Qi . Immediately, his body was enveloped in a sword veil . Suddenly, Ye Wuchen appeared before him . The one-armed swordsman strolled in the air and an endless amount of Sword Qi in the sky converged towards him, growing in strength as time passed . Everyone could only see countless swords floating around Ye Wuchen, producing a clanking sound . In the sky, more and more swords gathered around him . Strike! Ye Wuchen pointed his finger forward . At once, an infinite amount of Sword Qi shot towards a certain place . Everyone saw a sword rain charging towards the same spot . Almost immediately, cracks appeared on Yan Nans defense . Yan Nan, admit defeat! Yan Jiu who was at the edge of the arena shouted . Swordsmen were known for their aggressiveness . They could crush all defenses, but their own defense was comparatively much weaker . 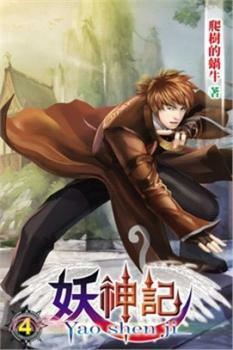 Previously, Yan Nan had gained an advantage in his attacks and was able to suppress Ye Wuchen . However, the situation of the battle flipped around out of a suddenly . Ye Wuchen was attacking Yan Nan with countless swords at the moment and Yan Nan was absolutely on the losing end . If this continued, Yan Nan would not only lose but he would also be killed . Yan Nans face turned very gloomy as he stared at Ye Wuchen in the sky . The sword veil around him was already on the verge of being crushed . Just then, Ye Wuchen raised his hand and the thousands of swords around him clanked . I admit defeat! Yan Nan roared, not resigned to his fate . Ye Wuchens finger stopped in the air, after which the Sword Qi dissipated . Countless people gazed at Ye Wuchen . This one-armed swordsman who had been keeping a low profile was humiliated by Yan Nan, being addressed as a handicapped . However, he actually defeated Yan Nan, a Sword Saint Villa disciple . He is actually also so strong, Li Qingyi, Qin Yin, and the other people from Dawn Road thought . It seemed like nobody with Ye Futian was weak, although their levels were somewhat low . Yan Nans face darkened as he stood blankly at his spot . He had actually lost . I actually lost to a handicapped . Yan Nan gave a self-mocking smile . The word handicapped was still particularly grating . Raising his head, he looked at Ye Wuchen . Is that what you learned from the relic? Ye Wuchen glanced coldly at Yan Nan . Ignoring him, Ye Wuchen turned around and left . Since he could not kill Yan Nan, it was pointless to say anything else . Wait, an elder from the Holy Zhi Palace suddenly said . Ye Wuchen, do you want to join my island? Ye Wuchen was the one being challenged, but his power was approved by the Holy Zhi Palace in this battle . Someone wanted to accept him as a disciple . Thank you, but I would like to stay in the arena . Ye Wuchen bowed gently, after which he continued his way back . He had rejected the offer . Moreover, because he was the one who was challenged and had obtained the approval of the Holy Zhi Palace, he would not need to fight anytime soon . The elder did not say anything . He looked at Yan Nan and asked, How about you? Although Yan Nan had lost, his power was similarly approved . Yan Nan glanced emotionlessly at the back of Ye Wuchen . How could he accept something that Ye Wuchen had rejected? No . Yan Nan turned around and left . Because he had obtained someones approval, he could still stay in the arena despite having lost . He was promoted to the next round . Both of them had actually rejected the offer . Clearly, they had greater ambitions . To Yan Nan, if he was to join the Thousand Holy Islands, he might as well stay in Sword Saint Villa . In the crowd, Chen Yuan said to Mu Chuan, Did you see that? Even the person beside him can enter the Holy Zhi Palace . Moreover, he rejected the offer from the Thousand Holy Islands . I really dont know why youre always so proud before me . Zhaixing House had been acting superior just because Mu Zhifan was a disciple of the Holy Zhi Palace . Now, Chen Yuan was almost elated . Behind him, Mu Zhifans face darkened . Indeed, even Ye Wuchen could enter the Holy Zhi Palace . The reason that he had been so complacent seemed insignificant at the moment . The arena was somewhat silent . The battle between the two evenly matched swordsmen just now was very remarkable . Ye Wuchen returned to the side of the arena . Ye Futian looked at his sleeve which had been cut off and asked softly, Are you injured? Ye Wuchen shook his head gently and did not say anything else . His handsome face looked very calm, but Ye Futian did not know what he was thinking . Nevertheless, anyone who was humiliated as a handicapped would certainly be furious . Moreover, Ye Wuchens broken arm was indeed his major flaw . Next, the person on the sky stairwell said . Me, someone replied . However, before the person could walk out, someone else in the crowd was already walking towards the center of the arena . Many people seemed to be very surprised . The person who walked out first was actually Ye Futian . Ye Futian strolled to the center of the arena and stopped . Ignoring the amused stares of everyone, he looked in a certain direction . It was where Ye Nan had just returned to . Get the f*** over here, Ye Futian said, pointing at Yan Nan . After Yan Nan lost, he still called Ye Wuchen a handicapped . Ye Wuchen did not seem to mind, but Ye Futian did!